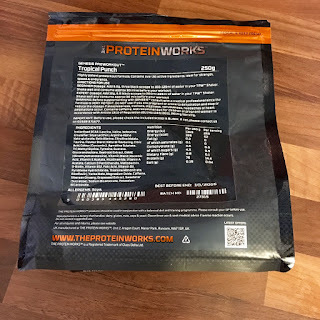 Review: My Protein Works sent me the products to review. I said exactly what I thought and I wasn't paid to review these ... trust me, I'm a triathlete. As I’m sure you know, there are many benefits to having powdered nutrients available in your kitchen. Gone are the days when protein powder was just associated with muscle men wanting to bulk up. 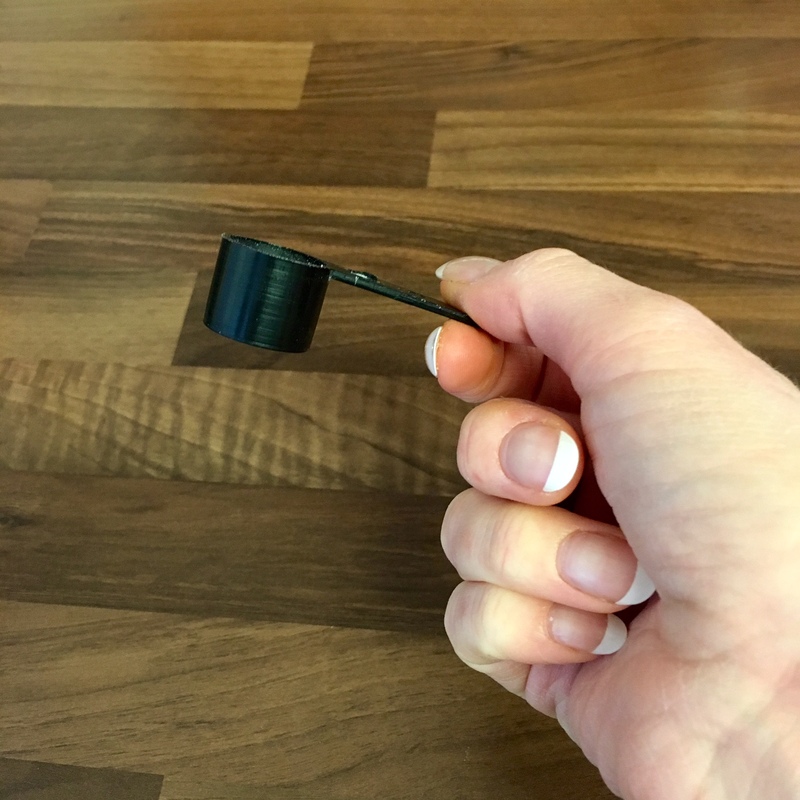 Powdered nutrition is now recognised as something that is easy and convenient when you don’t necessarily want to make a meal or open a can to get your protein requirements. However, there are multiple brands on the market and many appear to be selling the same things repackaged. 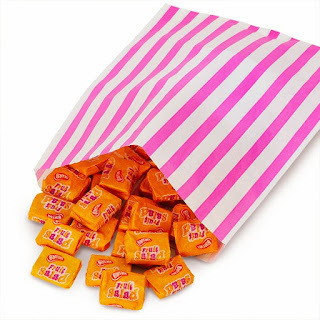 There are several sacks, pouches and tubs in my cupboard all boasting to be the best, have the best ingredients and to do better things than all the others. I haven’t noticed a huge difference between them, I have to admit. In fact, I’m pretty superficial. I check that the product does what I want … and then I go on taste, If I can mix it into cookies or puddings so much the better. 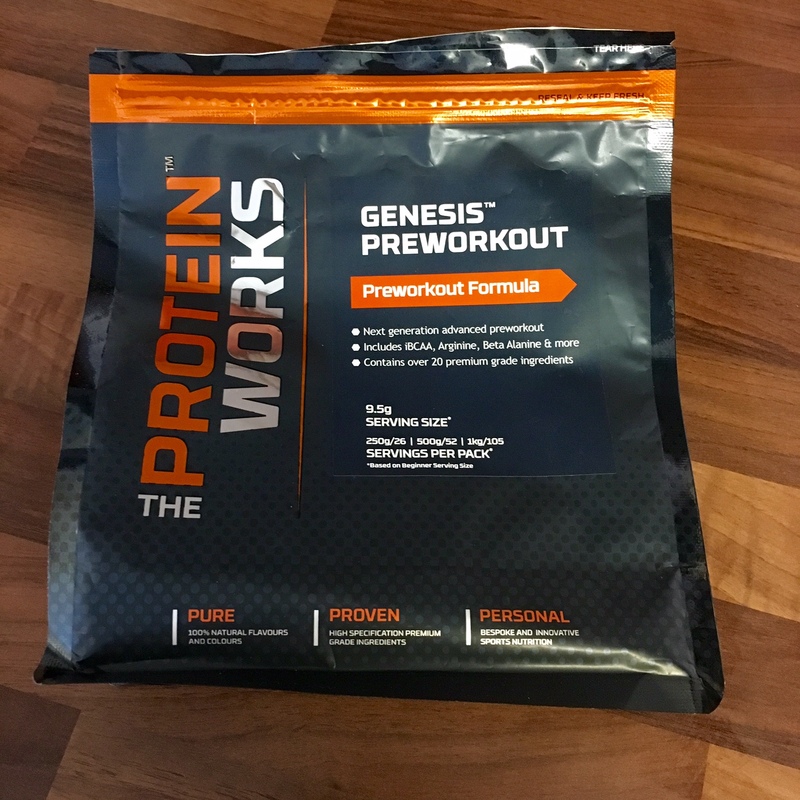 The Protein Works: Genesis PreWorkout - Tropical Punch flavour. The Protein Works promotes this product as being ideal for strength, speed and endurance which are all things I value in my running. 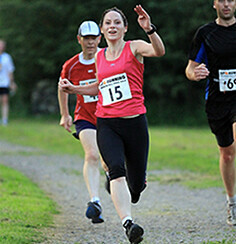 The strength to keep going and the speed and endurance to knock out a good (for me!) time so this was of interest. I don’t tend to have specific pre-workout routine. Before a marathon or an ultra I tend to shovel in a flapjack and possibly a banana and I’m ready to go. However, after reading the (VERY enthusiastic) reviews I decided that if it does what they say, then it’s something I’m willing to invest in. I also like the idea of being REALLY enthusiastic about exercise especially at this time of year when it tends to be a bit chilly, usually raining and I’m expected to go out training in a single layer of lycra. What do The Protein Works say? 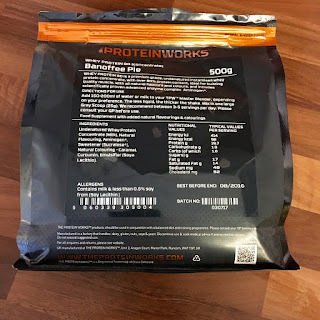 The product contains over 20 active ingredients including several I had never heard of but which sounded properly scientific and slightly alarming iBCAA, Arginine Alpha Keto-glutarate, Beta Alanine, Citrulline Malate, Siberian Ginseng. It sounded AMAZING but I was beginning to think it was probably going to be wasted on me. Expert dosage or beginner dosage? I’d chosen the Fruit punch flavour and to be honest The Protein Works had nailed this. 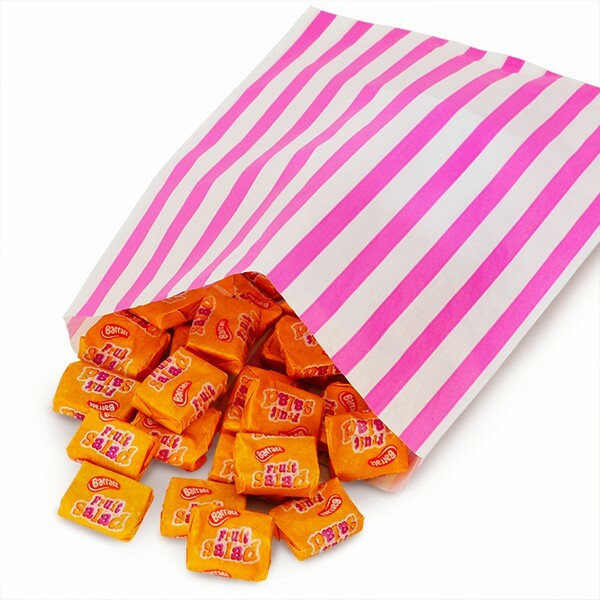 It was just like the orange and pink wrapped sweets you used to find in the post office as a child! However, it is a VERY strong flavour even with the beginner dosage in the recommended amount of water and - like me - you will probably taste it for an hour afterwards. However it was a great addition to unsweetened banana oatmeal cookies especially for a pre-run snack! 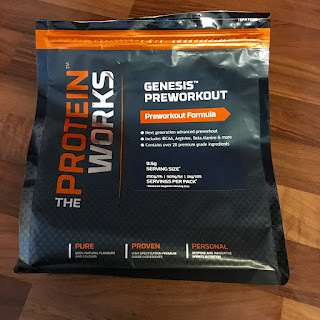 This is The Protein Works premium version of the most popular form of protein shake. It has a biological value (a value which shows how easily the protein can be used in protein synthesis) which is higher than free-range eggs, chicken or beef. It has over 80% protein content and has been micro-filtered and not heat treated to ensure it’s very pure. It has also won awards; UKs Number 1 brand (trustpilot.co.uk) and awarded ‘Best protein’ at the 2014 FSN awards. I’m going to hold my hands up and say I don’t know a lot about protein powders. 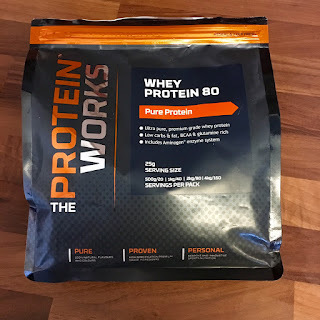 I use them as they’re an easy source of protein and I know that replenishing protein after a hard workout run is important, especially as you only have a short window of time to do it (within 45 minutes of finishing exercise but the sooner the better) and they’re convenient for me to use especially when I’m pushed for time. Often at face value there doesn’t seem that much to choose between the ingredients in the different brands but I was reassured by the awards that this powder had won and the assurances of quality. However, I’m quite shallow about these things and what is important to me is taste. If I’m going to have to use a powder and there are a lot of similar products, then I am going to choose the one that tastes the best to me. But did it taste of PIE? And to me, this product is a winner as the ‘Banoffee Pie’ flavouring actually tasted like banoffee pie. I prefer to have my powders mixed into a natural yoghurt rather than in a shake if I’m at home and this was amazing.